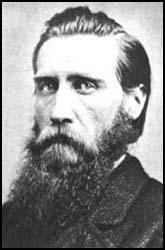 John Bell Hood was born in Owingsville, Kentucky, on 1st June, 1831. He studied at the U.S. Military Academy at West Point before joining the United States Army and seeing action against Native Americans. 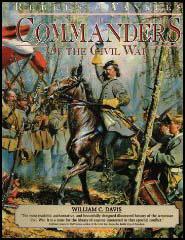 On the outbreak of the American Civil War Hood joined the Confederate Army and was given command of the Texas Brigade. He led his troops at the 2nd Battle of Bull Run (August, 1862) and Antietam (September, 1862). Promoted to the rank of major general he fought at Fredericksburg (December, 1862) before being badly wounded at Gettysburg (July, 1863). He recovered to take part in Chickamauga (September, 1863) but was again wounded and this time lost his right leg. On 17th July President Jefferson Davis promoted him to general and he took over from Joseph E. Johnston as commander of the Army of Tennessee. Hood immediately went on the attack and hit George H. Thomas and his men at Peachtree Creek. Hood was badly beaten and lost 2,500 men. 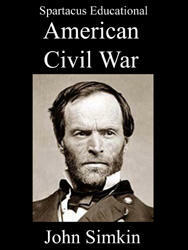 Two days later he took on William Sherman at the Battle of Atlanta and lost another 8,000 men. By 31st August, Confederate forces began to evacuate Atlanta and by early September the city came under the control of the Union Army. Hood continued to adopt an aggressive policy in Tennessee and despite heavy losses surrounded George H. Thomas at Nashville. On 15th December, 1864, Thomas broke out of Nashville and hammered Hood's army. Thomas captured 4,462 soldiers and those still left alive fled into Mississippi and Alabama. 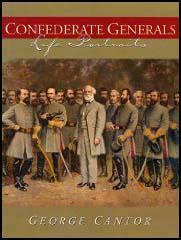 The Confederate Army in Tennessee had now been completely destroyed. Hood from his command and was demoted to the rank of lieutenant general. He was captured by the Union Army on 31st May, 1865 at Natchez. After the war Hood he started a business in New Orleans but it was financially unsuccessful. John Bell Hood died of yellow fever on 30th August, 1879. Both his wife and eldest daughter in the epidemic. General Hood's an awful flatterer - I mean an awkward flatterer. I told him to praise my husband to someone else, not to me. He ought to praise me to somebody who would tell my husband, and then praise my husband to another person who would tell me. Man and wife are too much one person; to wave a compliment straight in the face of one another is not graceful.